Magnetic A7 sized pad containing 25 sheets of 80gsm paper. 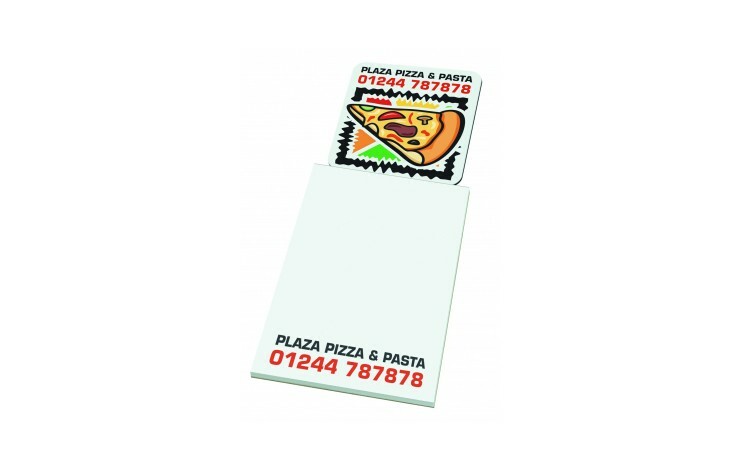 Printed with your design in full colour as standard to the magnet, however, the sheets can also be printed at extra cost for maximum branding exposure. 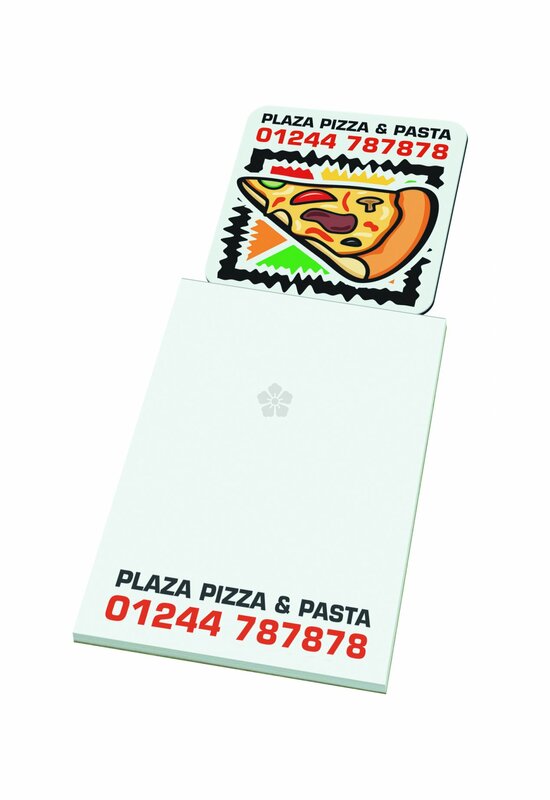 The magnet itself is available in 5 standard shapes, including square, circle, splat, house and star to tie in with your promotion. Lightweight & great for mailing!